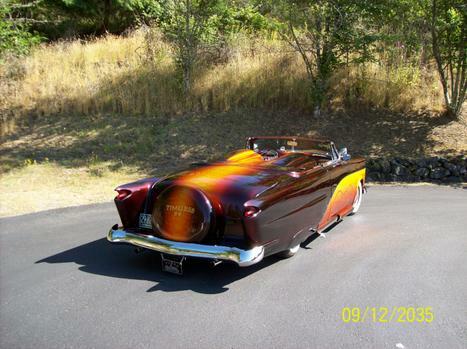 Started out as a 1954 Ford Victoria two door hardtop, over 35 different body modifications, stock 302/C-4. It took me 8 years to build this car in my garage, I then took the car to a body shop where they smoothed out the body. I and another painter ( Dean Arnold) painted the car. My name is Jim Watson, Olympia,Wash. Best "54' Ive ever seen,period,WOW! 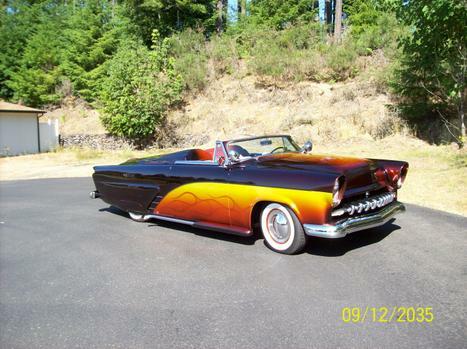 Jim: That IS a very fine custom '54 you have there. GORGEOUS !! !